Would you like to meet some local cookbook authors? The book signing event is officially from 12 noon to 1pm. There will also be some braai sets as giveaway prizes, courtesy of Penguin Books. 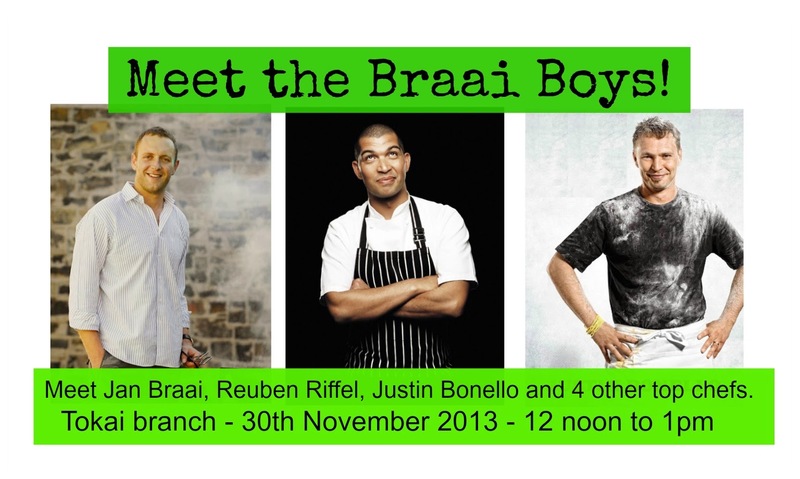 So if you happen to be in Cape Town next weekend, and feel like popping in, now you know where to be!